Click here to read an in-depth interview with Bayside‘s frontman, Anthony Raneri. In this interview, Anthony touches on some of the lyrical content on their new album, Killing Time, as well as his views on pop music. Parkway Drive frontman, Winston McCall, recently sat down with Blare Magazine for an open ended question and answer session. Read the interview here. The Swellers have started a studio blog to keep fans posted on the progress of their new record. Stay up to date by checking out their official website every day. 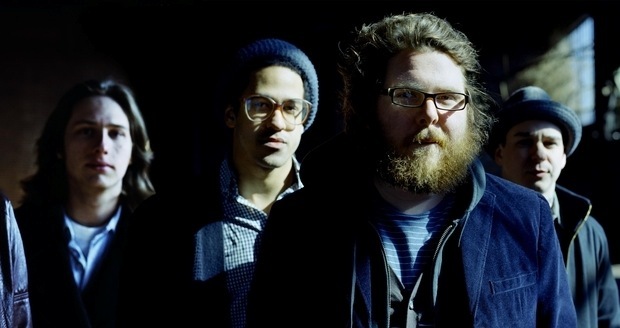 Manchester Orchestra have returned and will release their third studio album, Simple Math, this May. To celebrate, Andy Hull and company have decided to give fans their new single, “Simple Math,” for free! All you have to do is click here and give them your email address, BUT FIRST, check out the lyric video for the song right here on UTG! Watch Patrick Stump’s new music video for “Spotlight (Oh Nostalgia)” right here. This song comes from Stump’s solo EP called Truant Wave that can be bought here. It has been revealed by New Found Glory at their show in Melbourne, Australia that they will start recording in April. The new album is set to drop in September. Josh (Guitarist) from We Came As Romans wants to let all of you know that he’s feeling in top condition after missing almost all of the Motel 6: Rock Yourself To Sleep Tour. WCAR is currently in the studio recording for their follow-up to their debut To Plant A Seed. Read the update here.